The City of Jerusalem is over 3,000 years old. It is also known as the City of King David, whose son Solomon built the first temple of worship there. In Judaism, Jerusalem has been known as the Holy City and the spiritual center for the Jewish people since 1100 BCE. 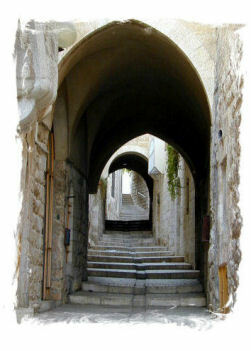 Today, Jerusalem contains a number of ancient Christian and Moslem sites, and has been a city of controversy and wars. Bible prophecies declare a time will come when peace will be established forever over Jerusalem and people from all nations will experience a lasting peace. Below are two prophecies written over 2700 years ago. Isaiah 19:21-25 "Peace in the Middle East"
"Adonai will make himself known to Egypt; on that day, the Egyptians will know Adonai. They will worship him with sacrifices and offerings, they will make vows to Adonai and keep them. Yet Adonai will strike Egypt, both striking and healing, so they will return to Adonai. He will listen to their prayers, and he will heal them. On that day there will be a highway from Egypt to Assyria. Assyria will come to Egypt and Egypt to Assyria, and Egypt will worship with Assyria. On that day Israel will be a third partner with Egypt and Assyria, a blessing here on earth; for Adonai, Lord of Hosts, has blessed him: "Blessed be Egypt my people, Assyria the work of my hands and Israel my heritage." Micah 4:2-3 "No More Wars"
"Many non-Jews will go and say, 'Come, let us go up to the mountain of the Lord, to the House of the God of Jacob! He will teach us about His ways, and we will walk in His paths.' For out of Zion will go forth Torah, the word of the Lord from Jerusalem. He will judge between many peoples and arbitrate for many nations far away. Then they will hammer their swords into plows and their spears into pruning tools; nations will not raise swords at each other, and they will no longer learn war." 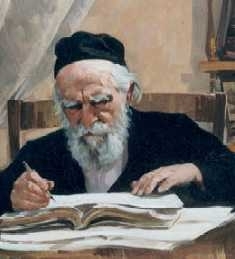 Is Rebbe Schneerson the Messiah? Watch and listen to Ted Pearce's music of Israel and the Jewish people. Ted is a music writer, composer, and recording artist for Galilee of the Nations and Integrity Records.